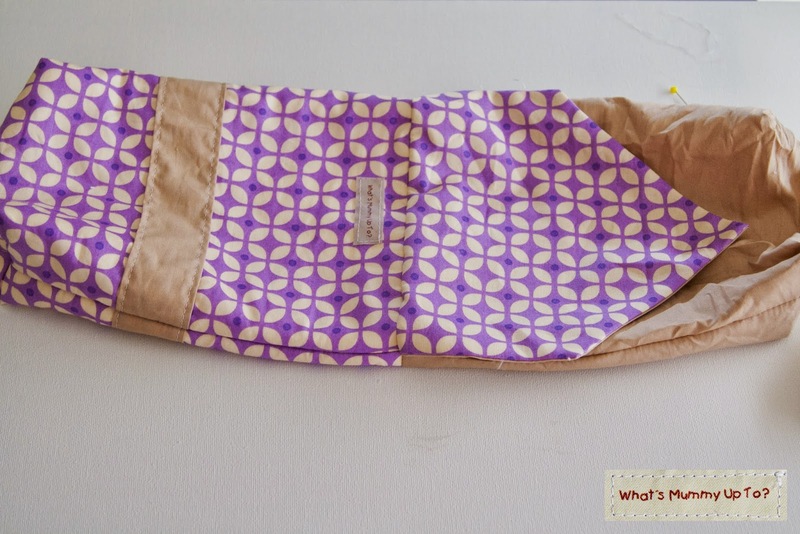 So I've been using this pouch for over a year now, and I love that it's small enough to fit in a handbag (albeit a BIG handbag) and that whether it's a nappy-change or just some sticky fingers, nappies and wipes are never far from reach. It's also been great for Daddy. If he's taking Hannah out by himself, he can simply grab the pouch and off he goes. 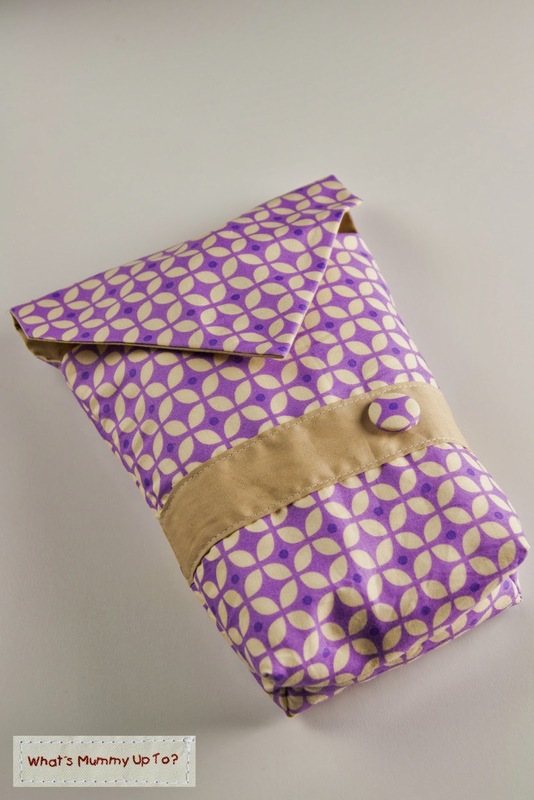 I've made this pouch as gifts for a few people, and everyone who sees it thinks it's such a good idea. What I did find though was that as Hannah grew (and so did her nappy size), the pouch became a little bit of a tight squeeze, especially for taking a whole day's-worth of nappies out. Also, with the strap closure which leaves gaps at either side, I found that any small items like a little tub of nappy-rash cream would often fall out and be lost in the black hole of my handbag ... never to be seen again! 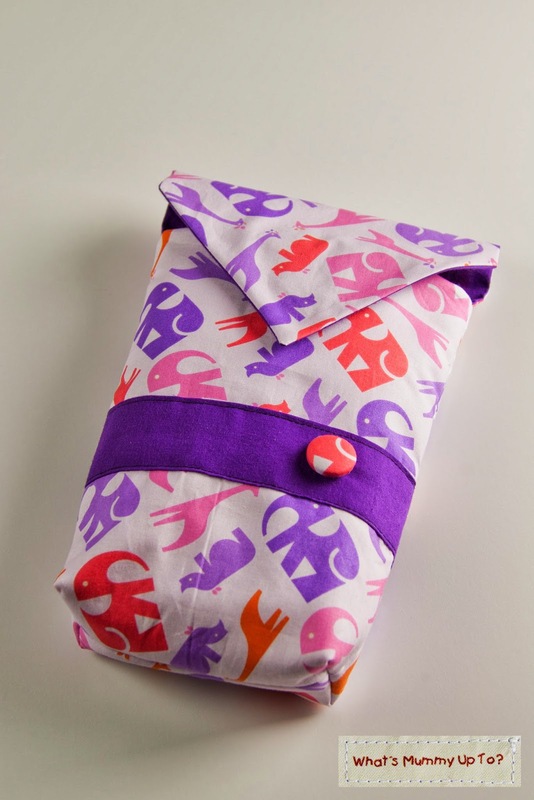 So, when one of the Mums from school saw my noddle-head pouch and said she'd love a nappy pouch too, I offered to make her one (like, as if I can ever say no to a chance to sew something!). I thought I'd take the chance to tweak and change the design. If I'm honest, I really just wanted any excuse to create a new design!!! I tell you, I'm addicted ... hmmmm .... anyway ... 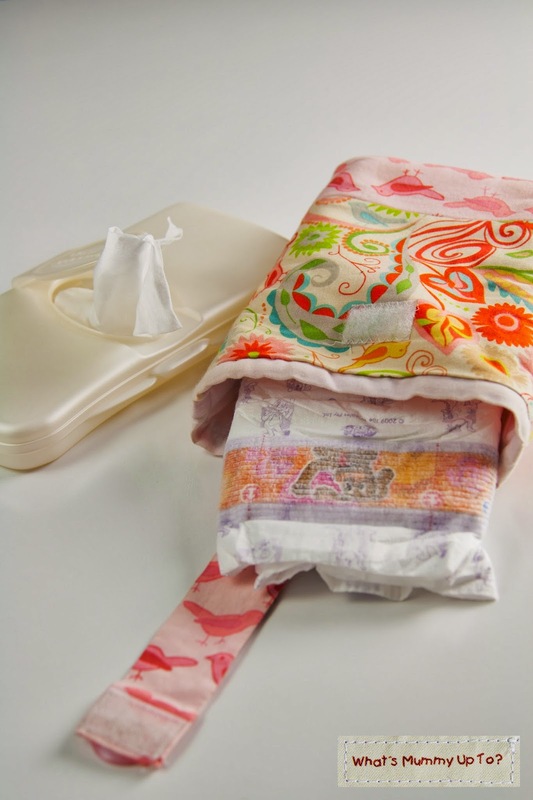 There are a few differences between the Noodle-Head pouch and mine ... my pouch is a little larger, and can easily fit 3 toddler nappies and a flat-pack of wipes like the one in the pic above. That's enough for a day out at Hannah's age. I also changed the way the lining works 'cause I didn't want the rim of lining-fabric around the top edge, and I changed the closure to stop things falling out so easily. It's an envelope style, very similar to the envelope closure on the Change-Mat Clutch. I also added a stripe on top of the main fabric, instead of cutting the outer fabrics to fit. For me it was just a little simpler that way. And here's the one I made for the Mum from school ... 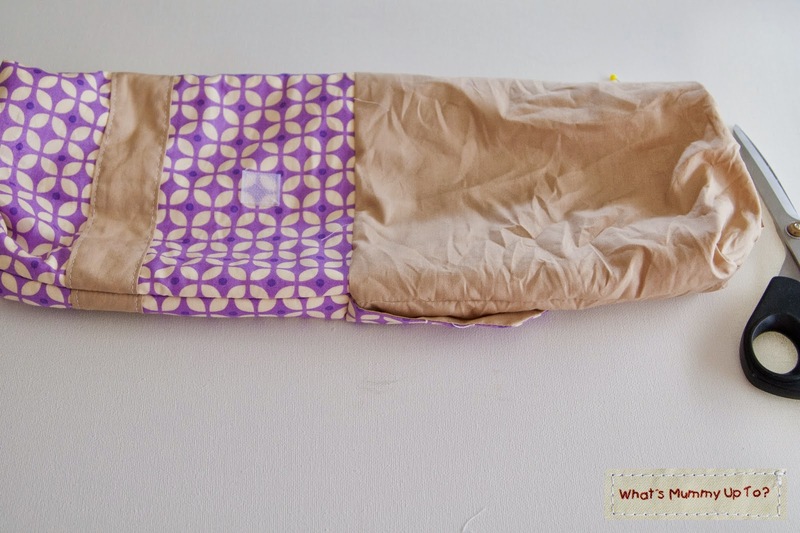 I used this fabric-choice as I thought it was pretty, but neutral, and I liked the idea of using "Mummy-style" fabric instead of a kid's fabric ... considering it lives in Mummy's bag and all! As always I love to be able to share how I've made things in case you want to make one too. So there's a tutorial below. 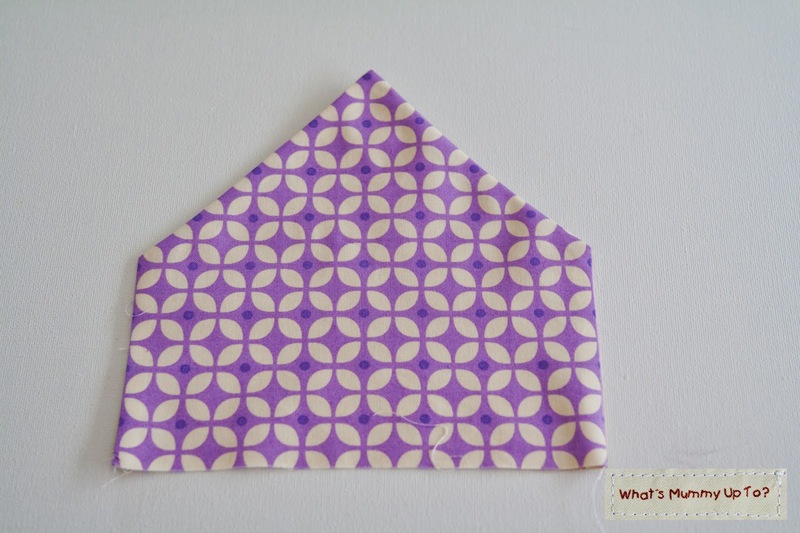 And, I have made a couple of extras of these, one the same as the one above, and the other in a cute animal-print like the one at the top of this post. I have listed them just now for sale at my shop, so if you'd rather just buy one, feel free to head over and take a look! I think they'd make a gorgeous baby-shower gift! 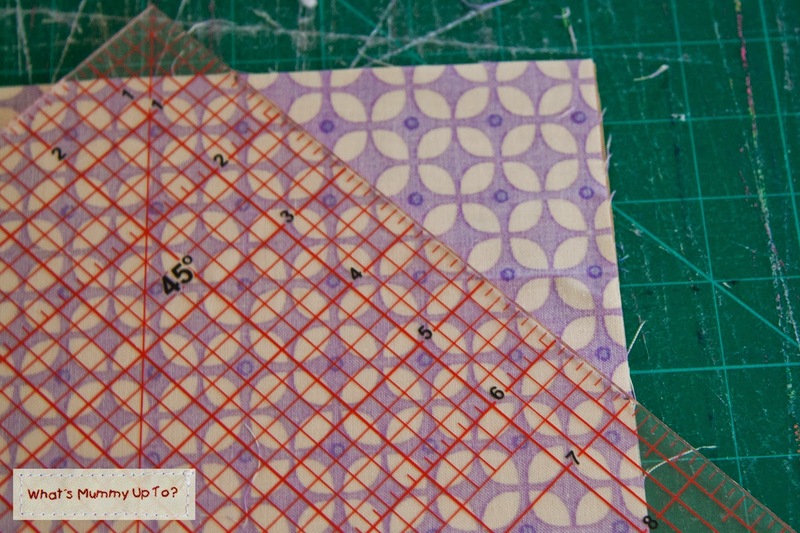 - Fabric for the outer, and a coordinating fabric for the lining (I used a quilting-weight cotton). A fat quarter of each would be enough. 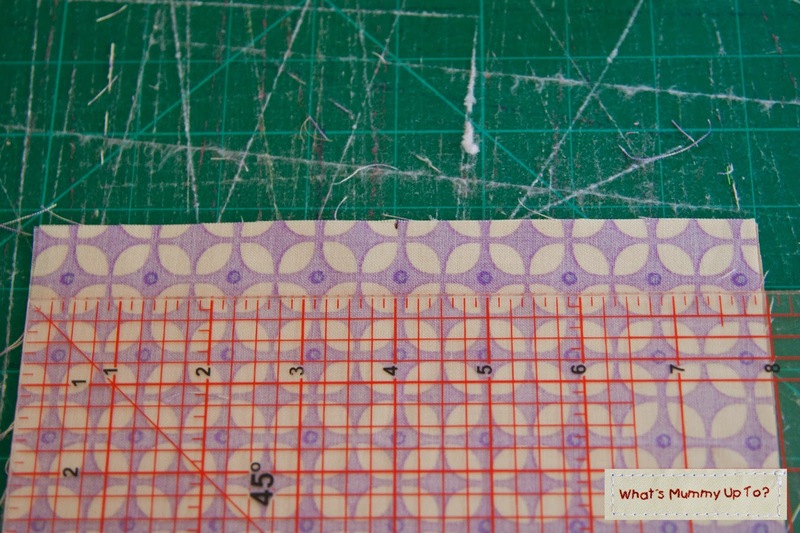 Oh, and I apologise in advance for my VERY messy cutting mat in the pics below ... I have been cutting fleece ... can you tell? It needs a good clean now! 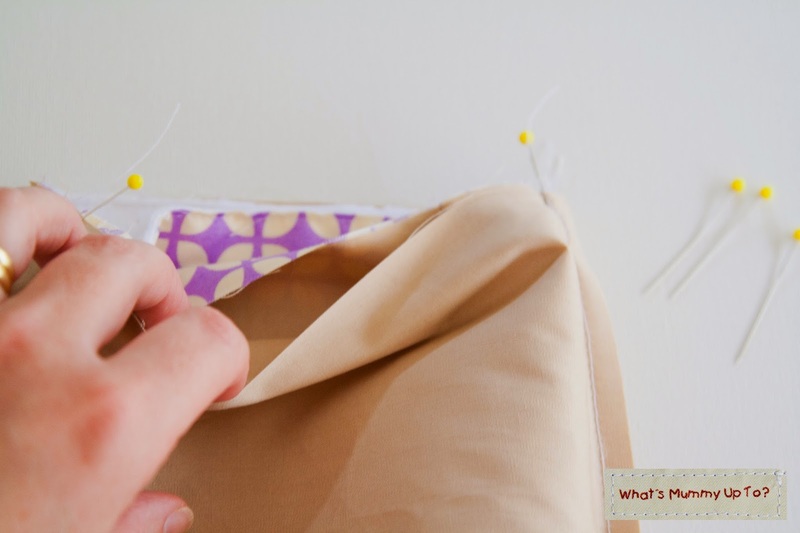 Use a 1/4" seam allowance throughout unless otherwise stated! 2. Measure along the top edge of both rectangles and mark the mid-point with a pen/pencil, then measure down each side and mark the mid-point ... like so ... (Note: Ignore the measurements in the photo below ... this was an earlier trial and needed to be a bit larger). 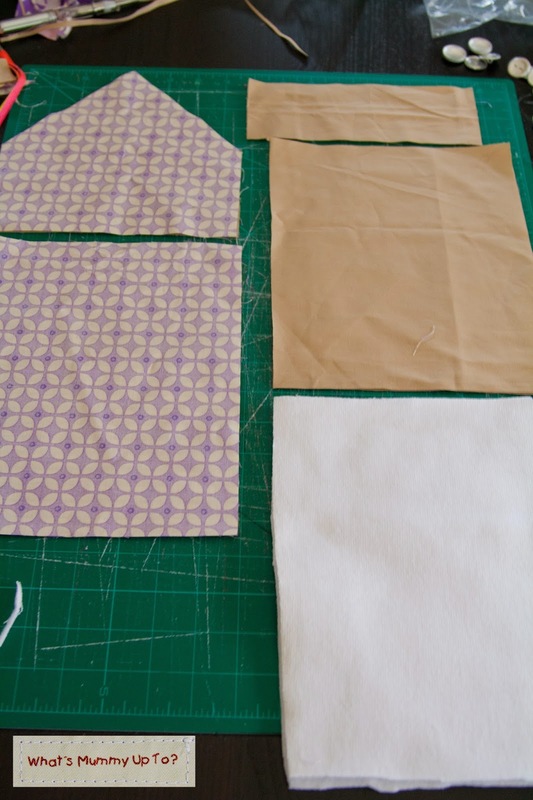 ... and repeat for the other side so you have a nice envelope shape, and repeat this process for the lining piece. of each other so it looks like there's only one. You need 2 of each piece. 5. 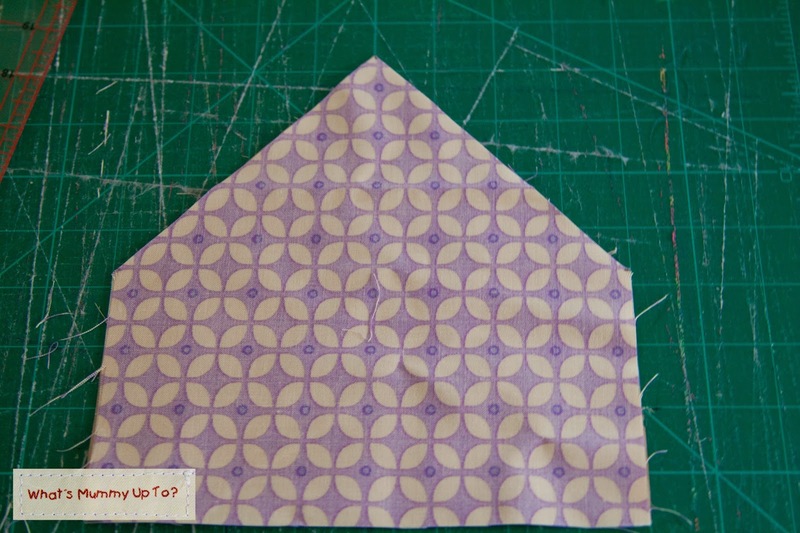 Take your lining piece of the envelope and stick one side of the velcro approximately 1 inch from the point. Centre it as best you can (you really just want to make sure that there is plenty of room for your seam allowance either side of it). 6. 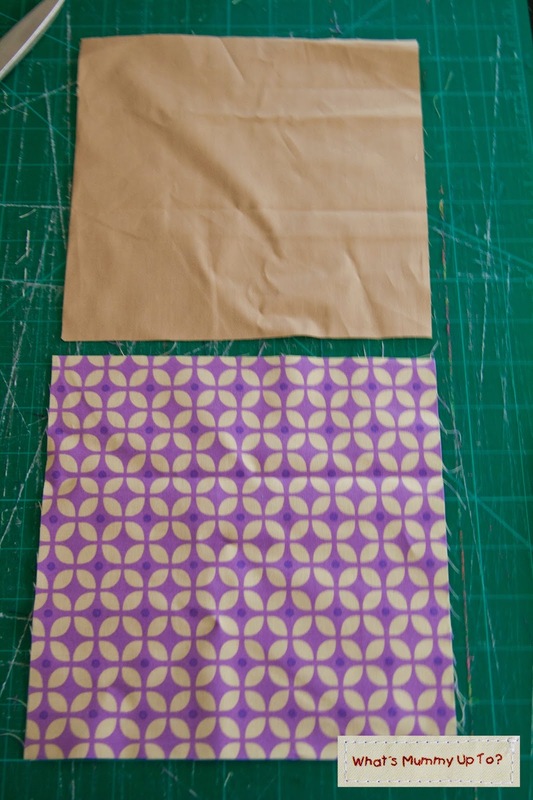 Place the envelope outer and lining right sides together and sew the 2 sides and the envelope peak, leave the bottom straight edge open for tuning. 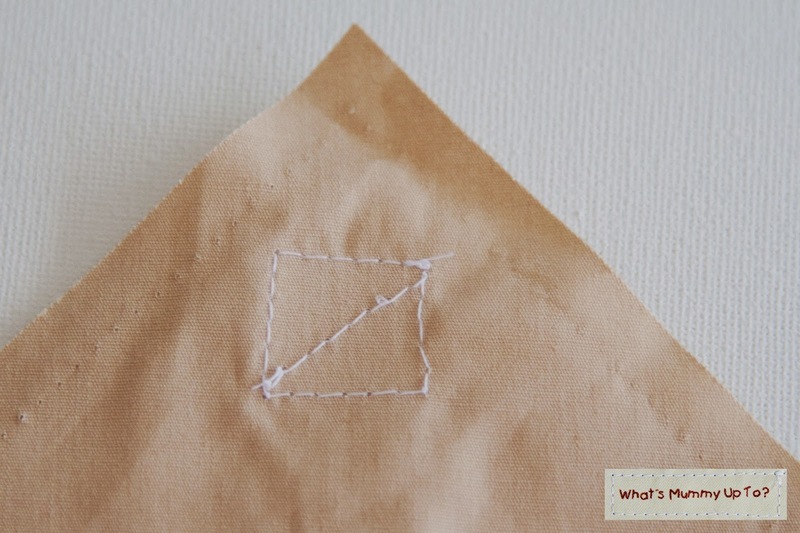 Then snip the point off, as close to the stitching as you dare to help you get a clean point when you turn it through. Also snip the other two side-corners in this same way. 7. 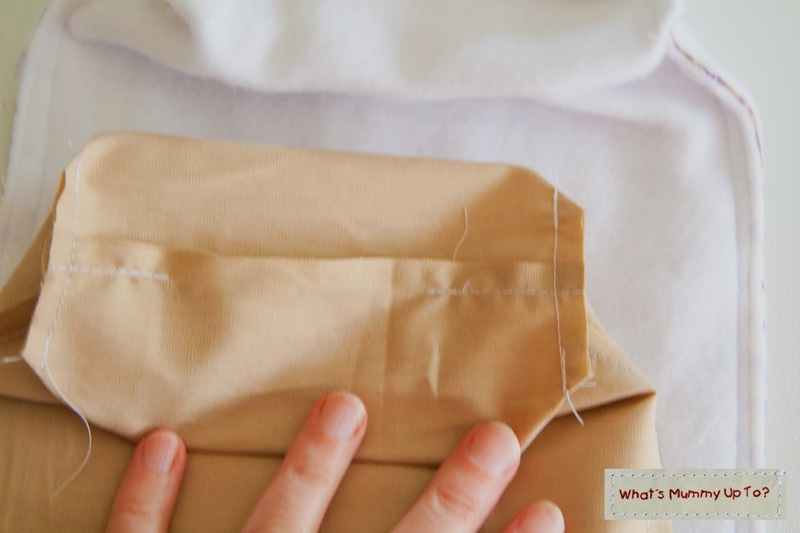 Turn the envelope closure right-side-out, and use a pencil or something pointy-but-not-too-sharp to poke those corners out as sharply as you can. Then iron the whole piece flat. 9. 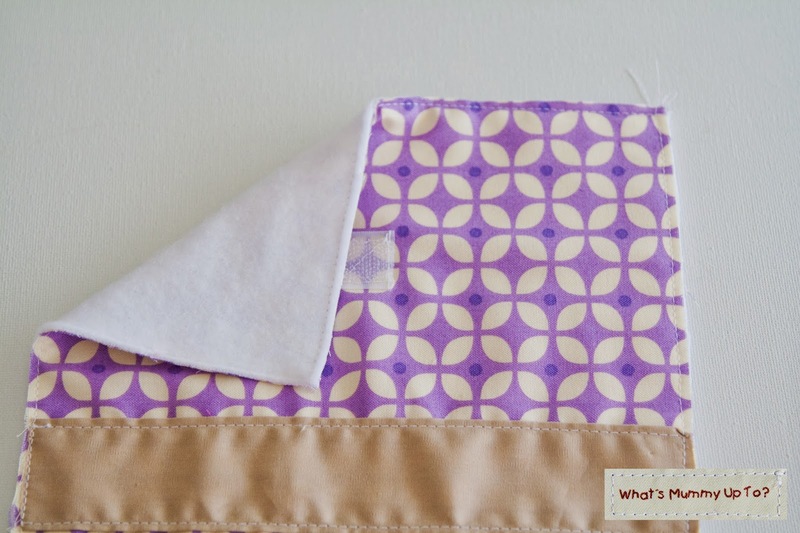 Grab your two outer rectangles, and pin the stripes in place (with the folded edges tucked under). I sewed mine about 4 1/2" from the top. 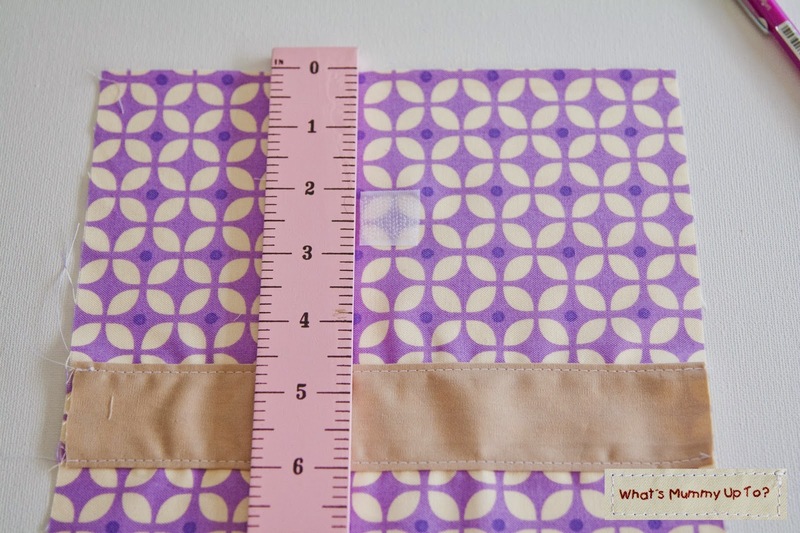 You can do wahtever you prefer, but just remember to measure each piece accurately because you really want the stripes to match up at the sides. 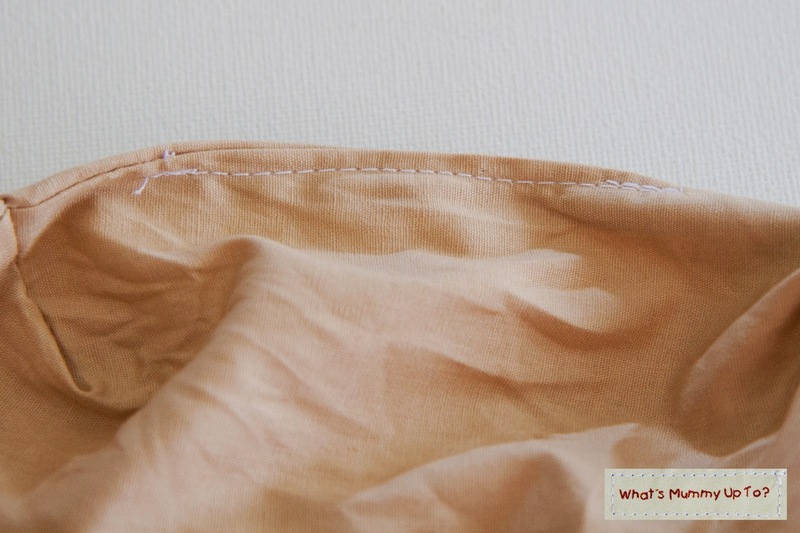 ... then top-stitch 1/8" from each edge of the stripe like so to hold it in place. 10. 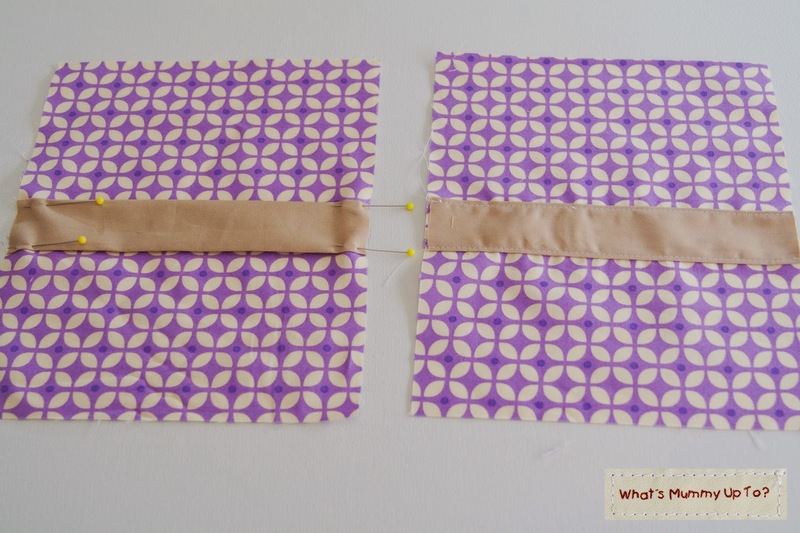 Choose one outer piece to be your front, and measure 2" from the top, at the centre and stick the other half of your velcro, then stitch it in place the same way you did the first piece. 11. 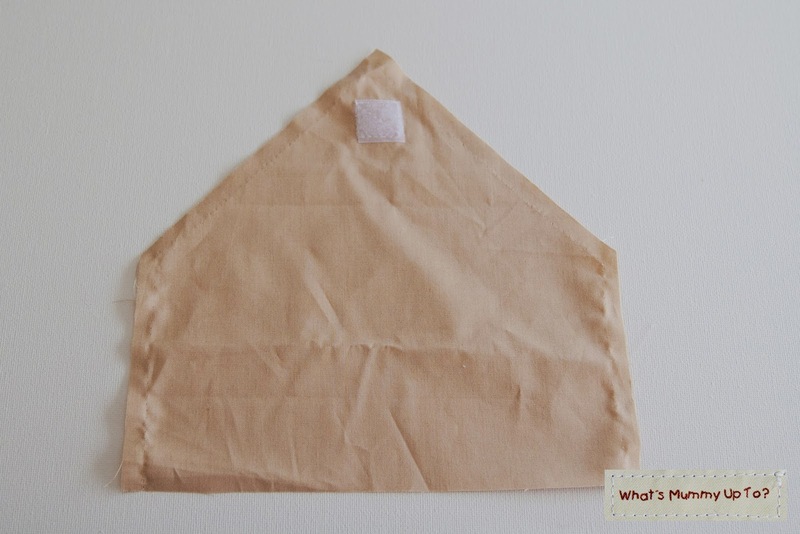 Take your 2 lining rectangles, place them right sides together and sew up both long sides, and along one short edge ... BUT ... leave a 3" gap in the short edge. 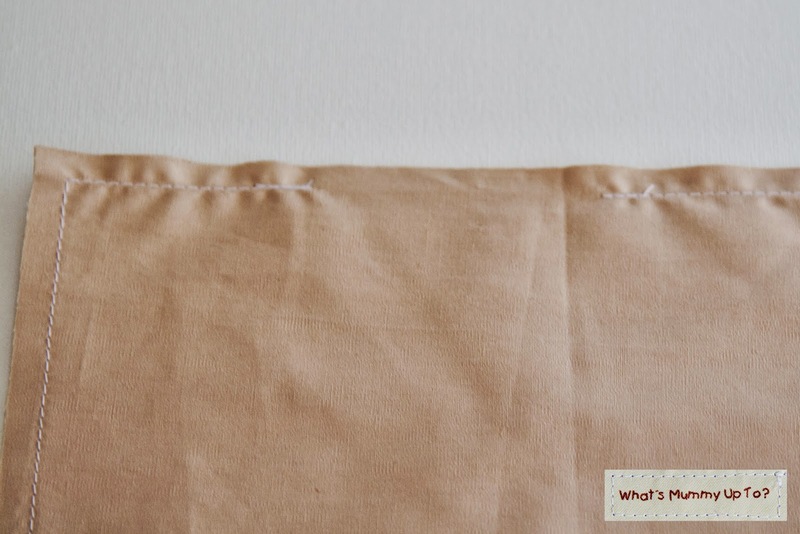 You will use this for turning the whole thing right-side-out, so I would suggest backstitching at each side of the gap to make it a bit stronger. Leave the other short edge open. ... then place each of your outer pieces right sides together and pint them in place ... this is the time to make sure your stripes match up perfectly at the sides. 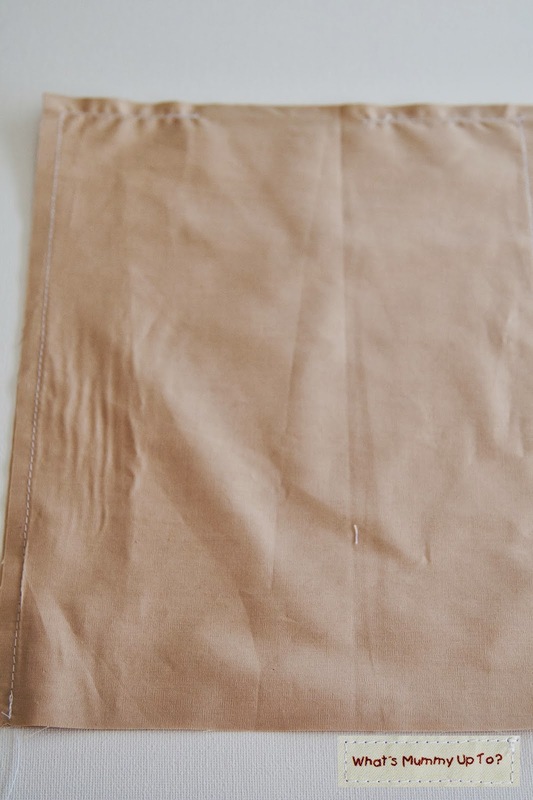 Then sew down one side, across the bottom and up the other side, leaving the top open. 13. 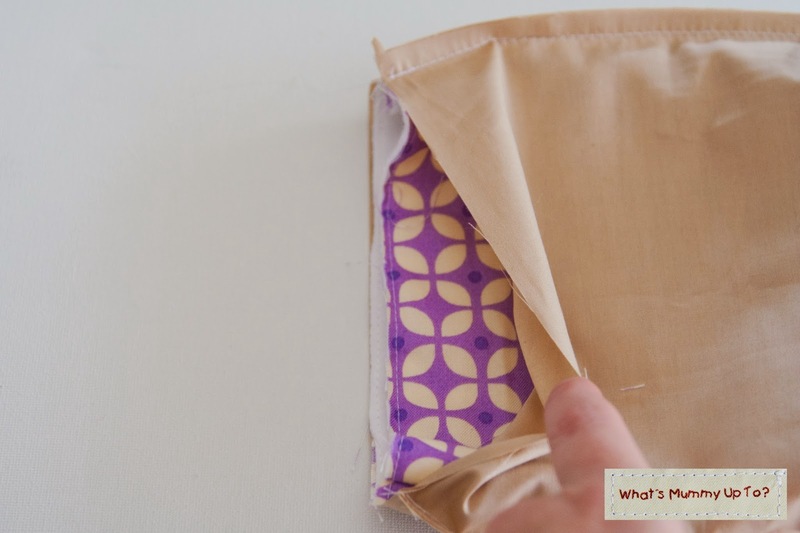 To box the corners, just fold each corner so that the side seam is touching the base seam and pinch. 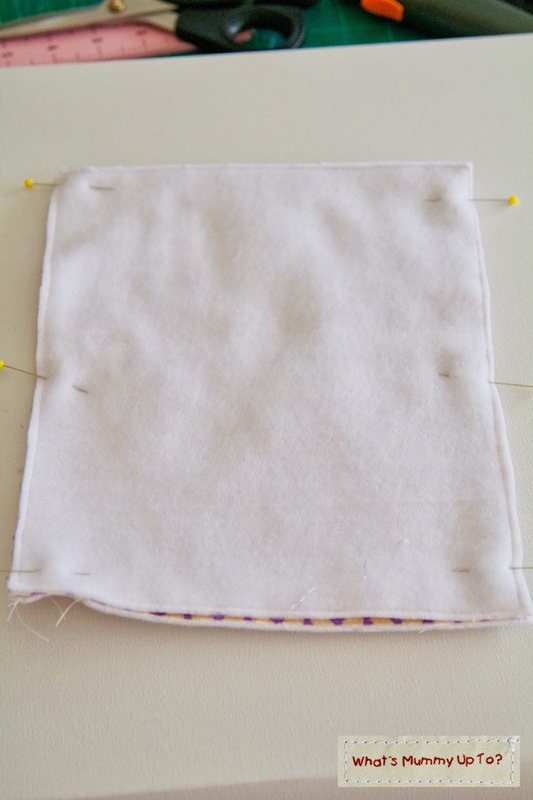 Place a pin 1 1/2" in from the corner, and sew a straight line across at this line. ... it will look like this once you've done both sides. 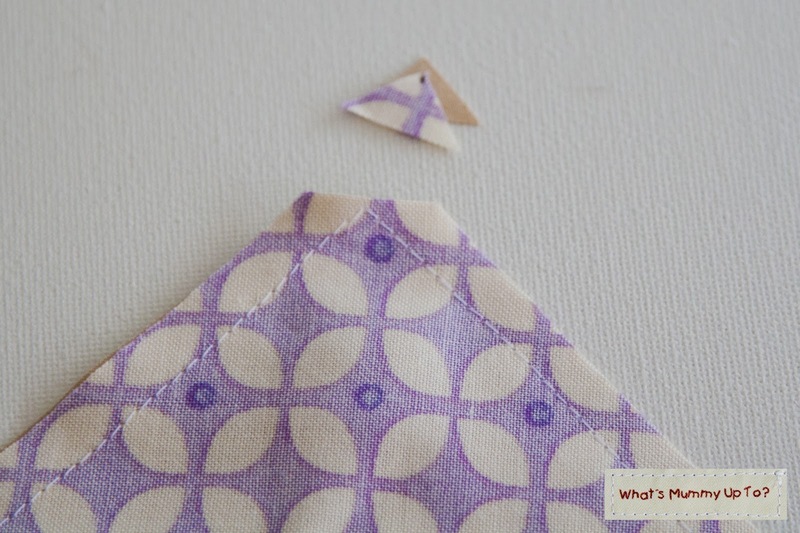 ... then using sharp scissors, cut the corner flaps off, approximately 1/4" from your sewing line. 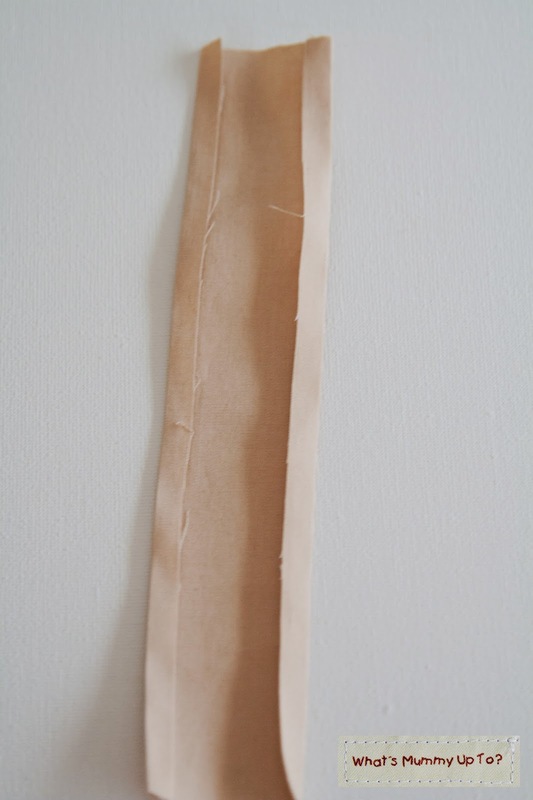 ... then insert the envelope flap piece in between the outer and the lining, with the point pointing down, and the raw edge matching up with the raw edge of the pouch pieces. You'll need to make sure you insert the envelope piece on correct side so the velcro pieces match. 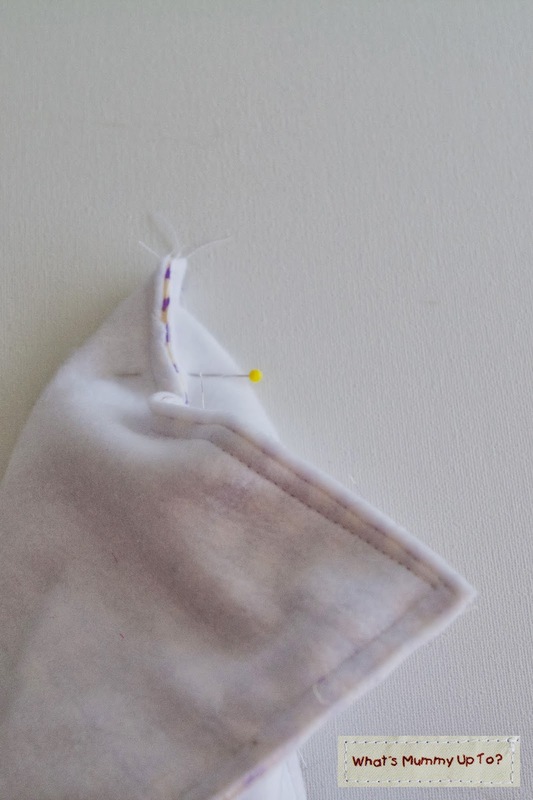 The envelope piece needs to be inserted at the BACK side of the pouch (ie, the side of the pouch without the velcro), and make sure it's facing the correct way... lining to lining, outer to outer. 15. 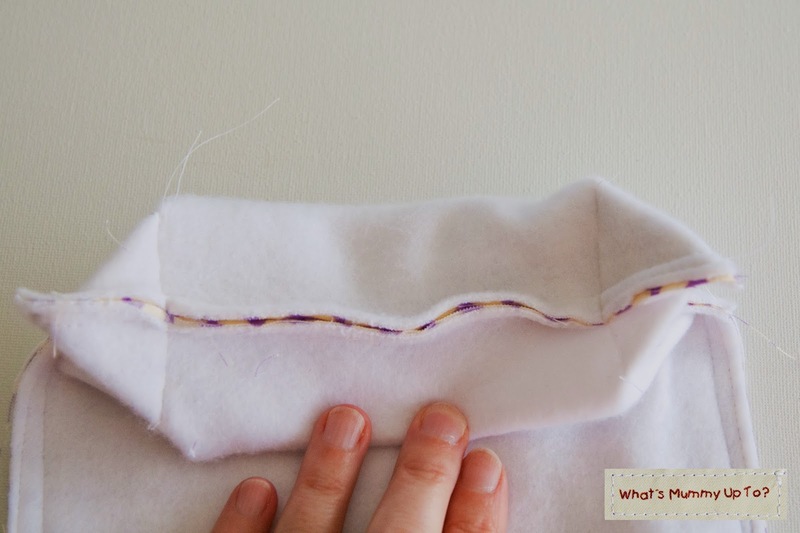 Line up the side seams of the outer and lining pieces, then pin around the top joining the outer to the lining, and making sure to catch in the envelope raw edge. ... then sew in place 1/4" from the edge. Take it slowly and carefully at this stage ... this is probably the trickiest part! 16. 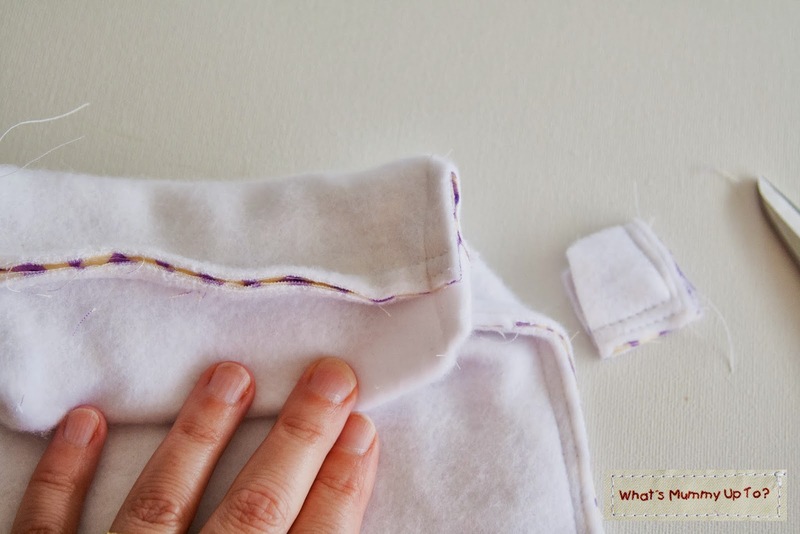 Now, opening up the 3" opening in the lining, grab hold of the outer and pull it through, turning both the lining and the outer right-side-out. ... The envelope flap will now also be free. 17. Pin together the opening in the lining, and top-stitch closed about 1/8" from the edge, like so. Then push the lining into the outer, and you're done!! 18. 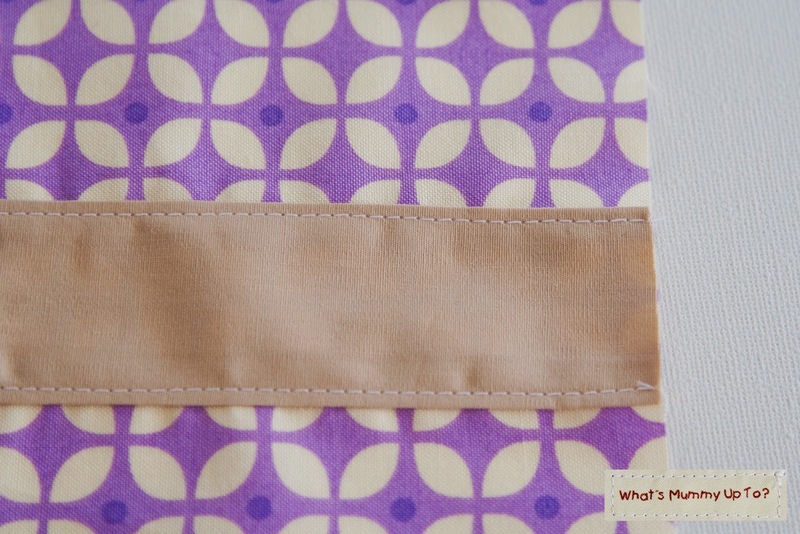 For an extra decorative touch I made a matching fabric-covered button and hand-sewed this off-centre on the front stripe. I though it was a cute touch! 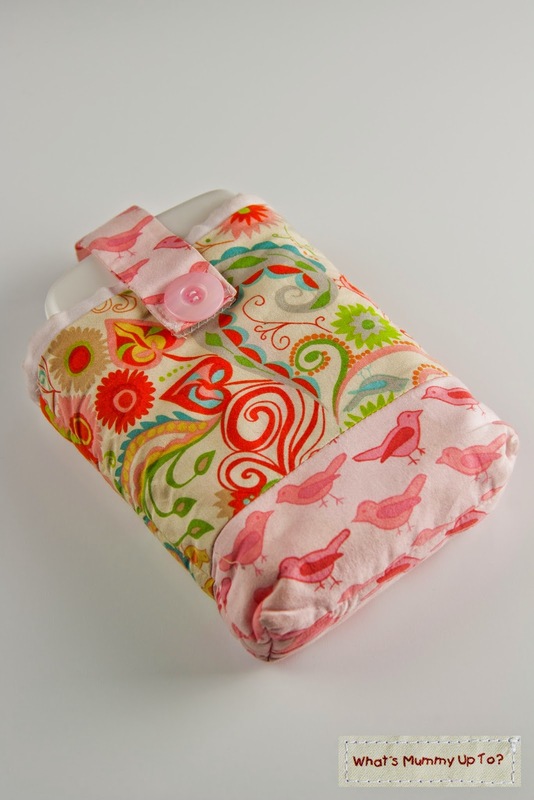 And there you have it ... my take on a Nappy / Diaper Pouch that's big enough for 3 toddler nappies and some wipes, but small enough to fit in my handbag ... OK, I know my handbag is huge, but still ... it fits!! 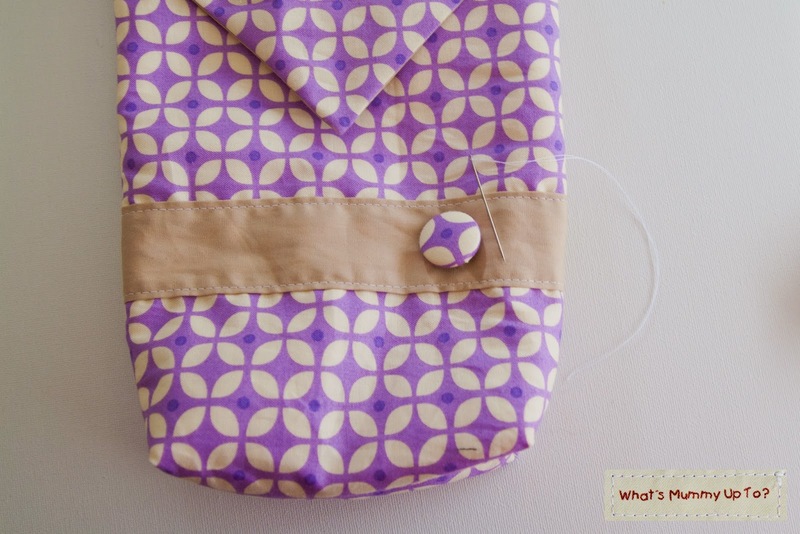 Your nappy bag is so much better than lugging a great big bag around. 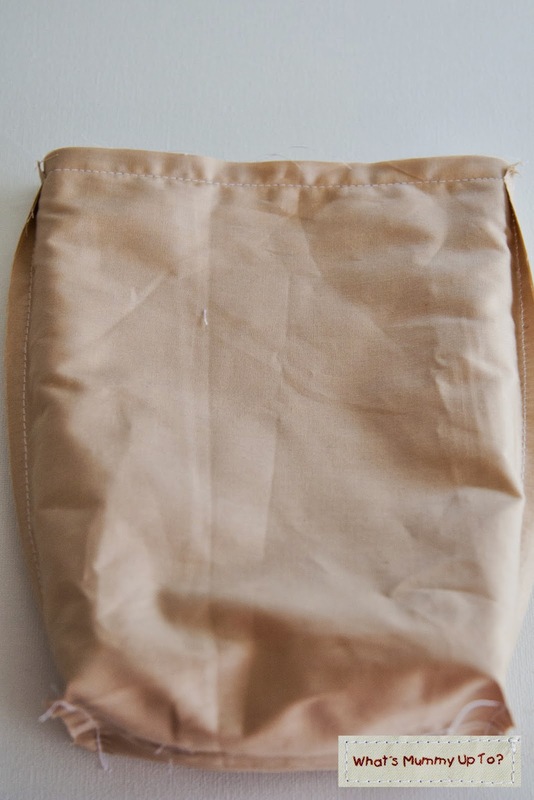 I remember a feeling of freedom when I no longer had to take a nappy bag where ever I went. It's great that you've made it in Mummy fabric, Wen.